With 8 years of experience — including highly sensitive investigations in the healthcare sector — Katharine Montpetit brings a wealth of insight to her work at Rubin Thomlinson. She is called on for her responsiveness to clients, her eagle-eyed attention to detail, and the efficiency of her investigations. Katharine is passionate about drawing out the different perspectives in even deeply fraught situations — deftly facilitating trust and candour. At Rubin Thomlinson, Katharine conducts a diverse range of workplace investigations, including complaints of sexual harassment, abuse, and other forms of misconduct. She is also available to help organizations proactively identify and curb dysfunction through workplace assessments and reviews. Katharine also provides workplace investigation and human rights training to staff at all levels. Before joining Rubin Thomlinson, Katharine served the College of Nurses of Ontario for three years as an investigator, successfully fielding many highly sensitive complaints — including ones of sexual abuse, physical abuse, and privacy breaches. She became especially adept at cases with complicating factors — from responsibly and respectfully interacting with stakeholders who were survivors of previous sexual abuse, to investigating cases with complainants with mental health issues. She also conducted training on the principles of professional governance. By the end of her tenure there, she had risen to directing a team of nine investigators. 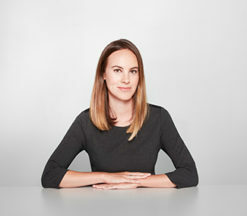 Katharine also served a top tier Bay Street law firm for five years, fielding cases in human rights and labour and employment law. Her work there included conducting extensive interviews, large and challenging fact-finding missions, and bringing cohesion and clarity to massive collections of documentation and information.